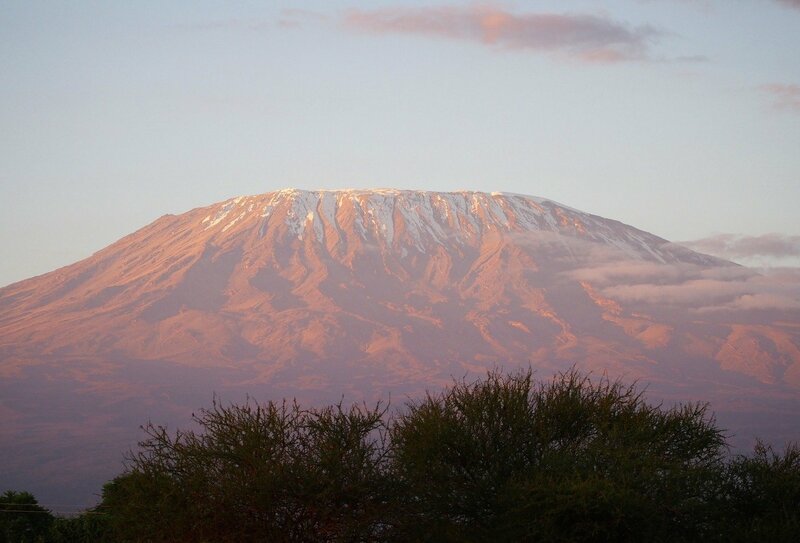 Reach the summit of mighty Mt Kilimanjaro! Enjoy the assistance of local porters and a chef! Camp in the heart of stunning natural locations! Embark on a journey for the lion-hearted! 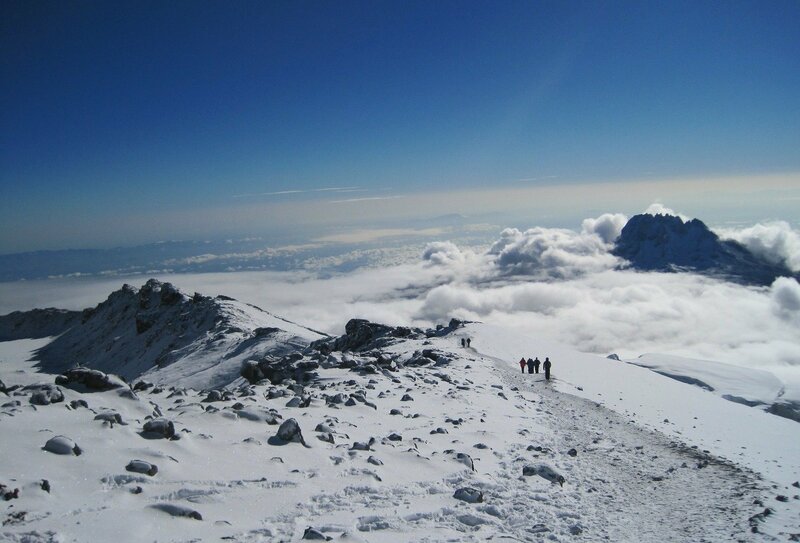 Your awesome trek will take you over one of the most picturesque paths to Mount Kilimanjaro’s summit, trailing through beautiful forests and rocky ridges. The views you’ll experience along the way will be truly unique – from sweeping valleys to iconic peaks and panoramas! 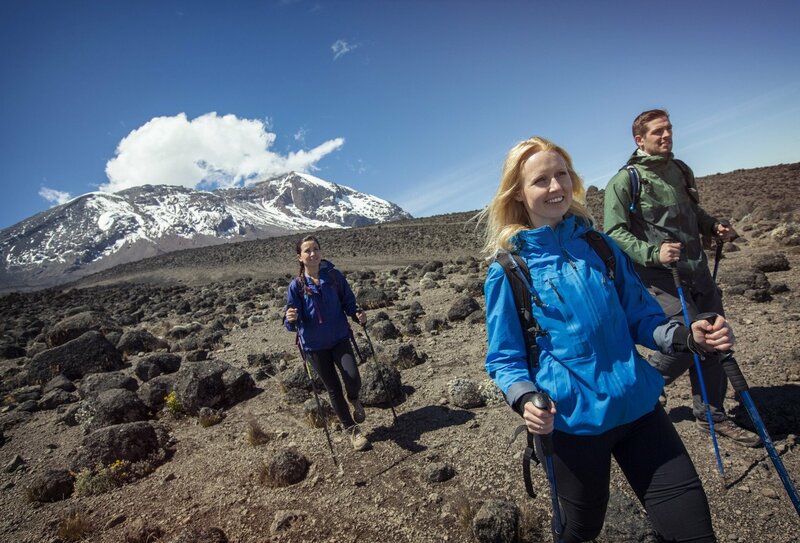 You’ll have the full support of local guides along the way and you’ll share the experience with a group of fellow adventure-loving travellers! Get stuck in and cross this once in a lifetime experience off your bucket list! Day 1: Welcome to Moshi! Today your adventure begins! Arrive into Moshi whenever you like and head to your hotel to meet your guide and the rest of your group. Attend a pre-departure meeting and then prepare for the epic experiences that await you! 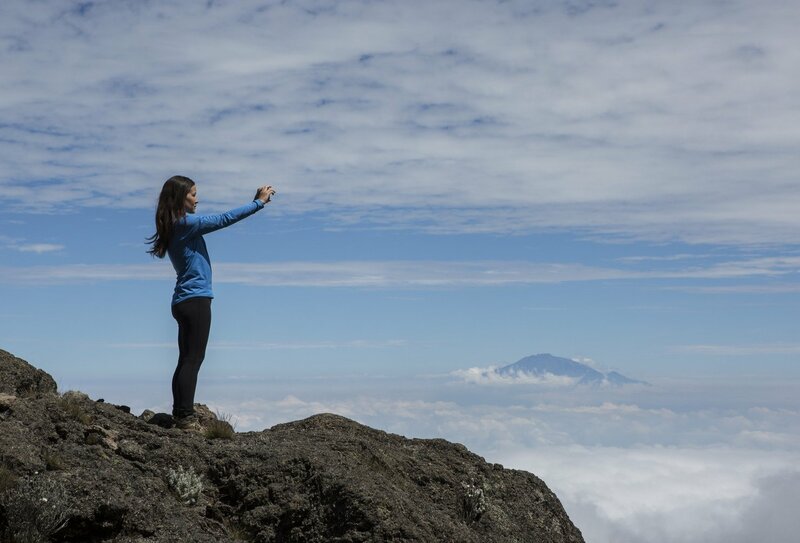 Day 2: Head to Machame Camp! 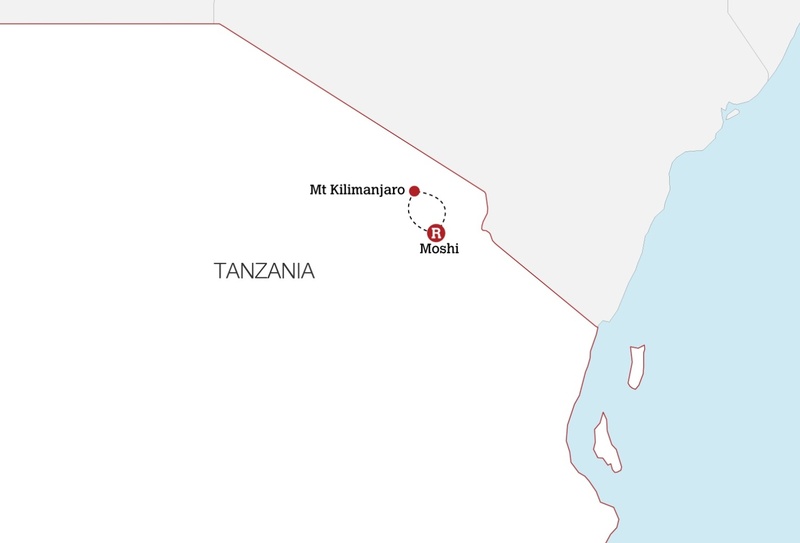 Today we’ll make the one hour journey from Moshi to Machame, where we’ll begin our first day of hiking! 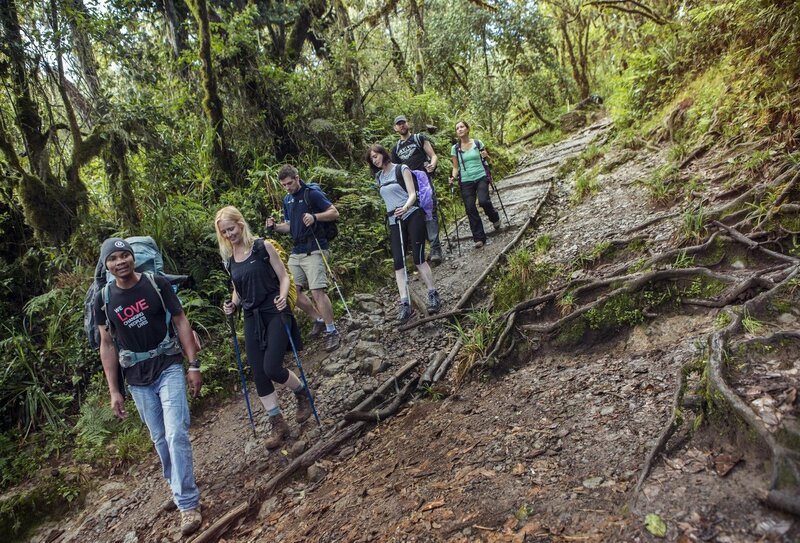 We’ll be hiking through tropical rainforest across the lower slopes of the mystical Mount Kilimanjaro. Keep a look out for monkeys and exotic birds! 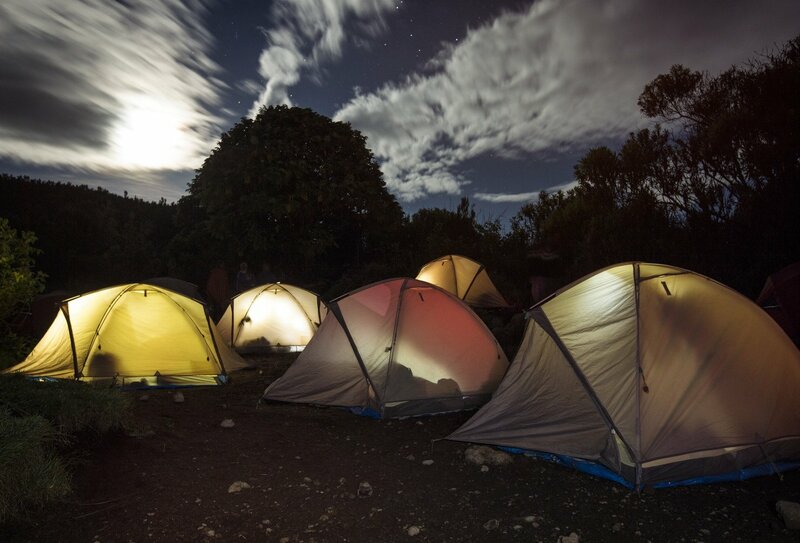 Round off the day at the Machame Campsite above the lush rainforest for some well-deserved rest! 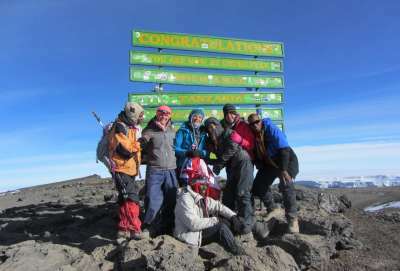 Day 3: Machame Camp to Shira 2 Camp and Kibo Peak! 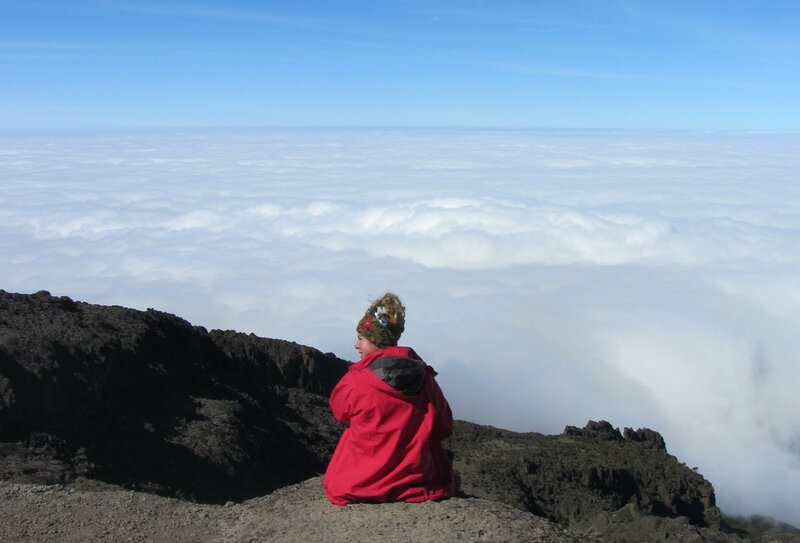 Hike through moorland to Shira 2 Camp, experiencing the sensational views of Kibo Peak along the way. 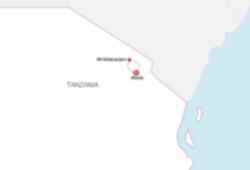 Our trek today will take roughly 5 to 6 hours. Before we get to the camp we’ll continue up to Shira Cathedral where we’ll be overwhelmed by the panoramic view of Kibo Peak. Truly awe inspiring! 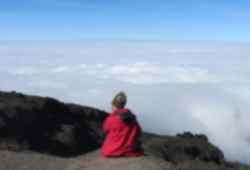 Hike to Barranco Camp via Lava Tower. 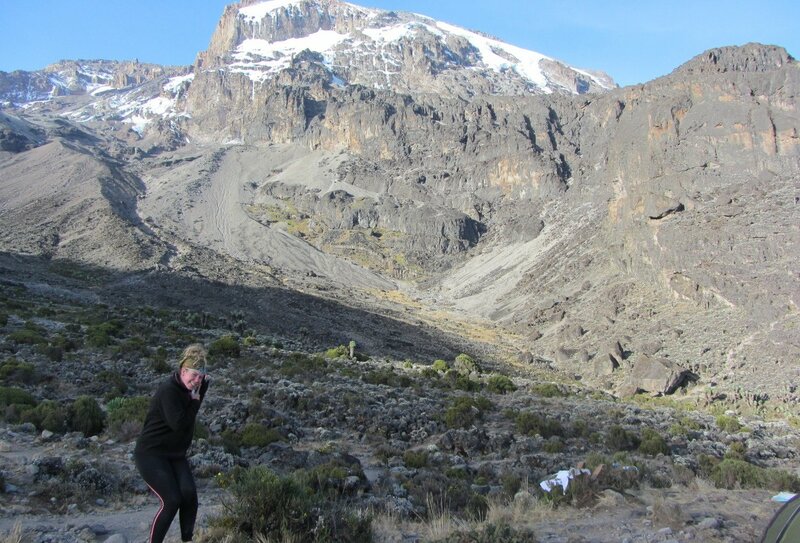 It will take roughly 4 hours to reach the rugged Lava Tower, and we’ll then begin our descent to the Barranco Valley. It should take around 2 hours to get to the valley, and we’ll experience breathtaking views of the Western Breach and Breach Wall along the way! 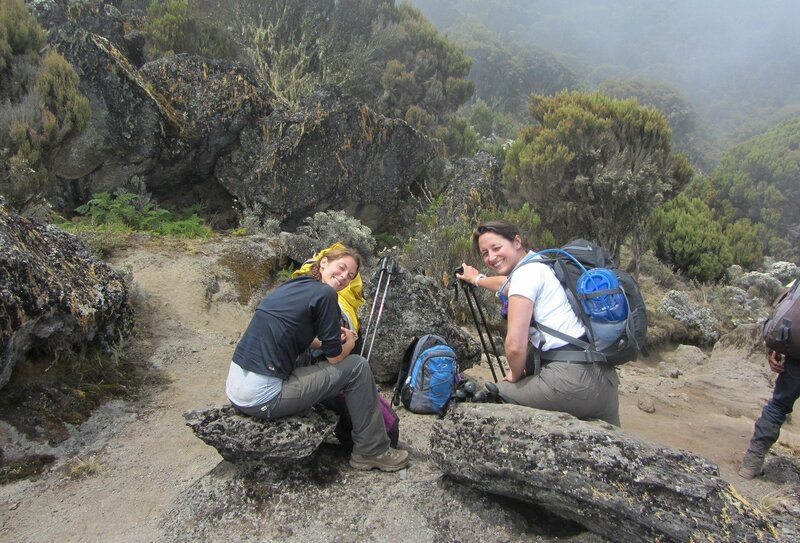 Hike to Karanga Camp via the Great Barranco Wall. We’ll be trekking up the eastern side of the wall, passing below the Heim Glacier and through the beautiful Karanga valley. It should take approximately 5 hours to reach the Karanga Camp – an exhilarating journey that delivers big on awesome natural sights! 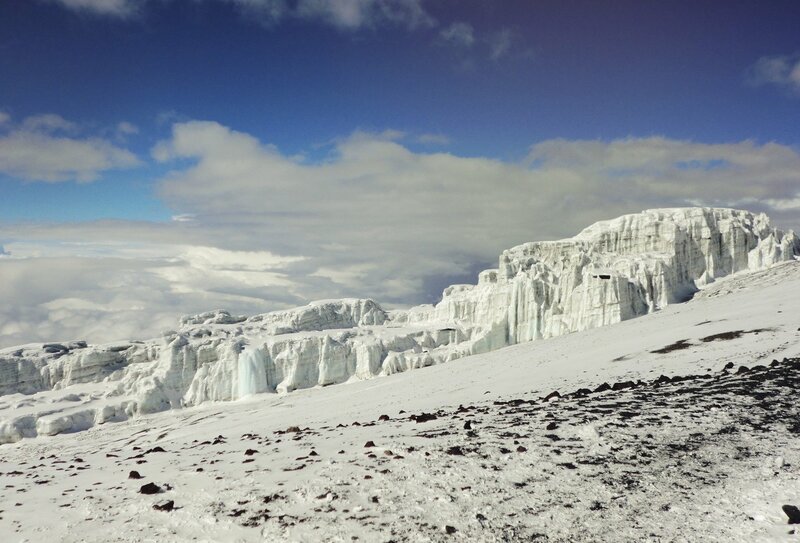 Trek to Barafu Camp, heading through the Karanga Valley. The trail is dry and you’ll notice a drop in the temperature as you leave camp. 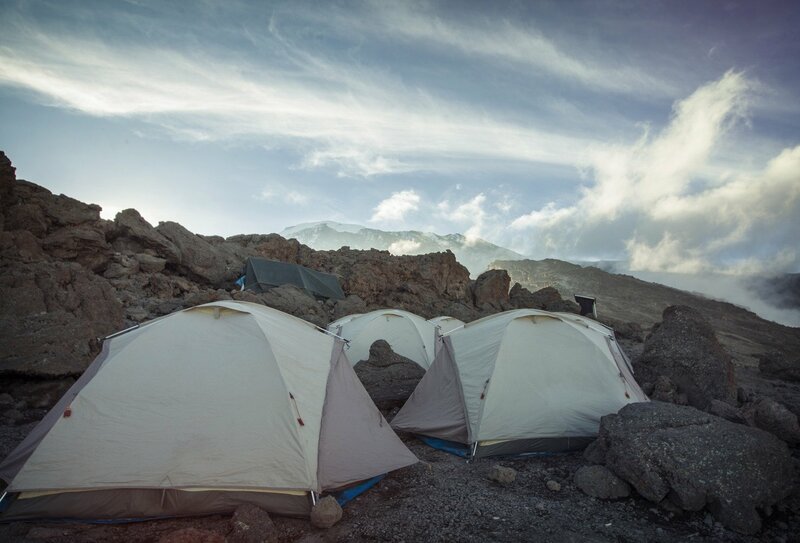 You’ll enjoy spectacular views of the Kibo and Mawenzi peaks, and you’ll have plenty of time to familiarise yourself with the camp once you arrive. 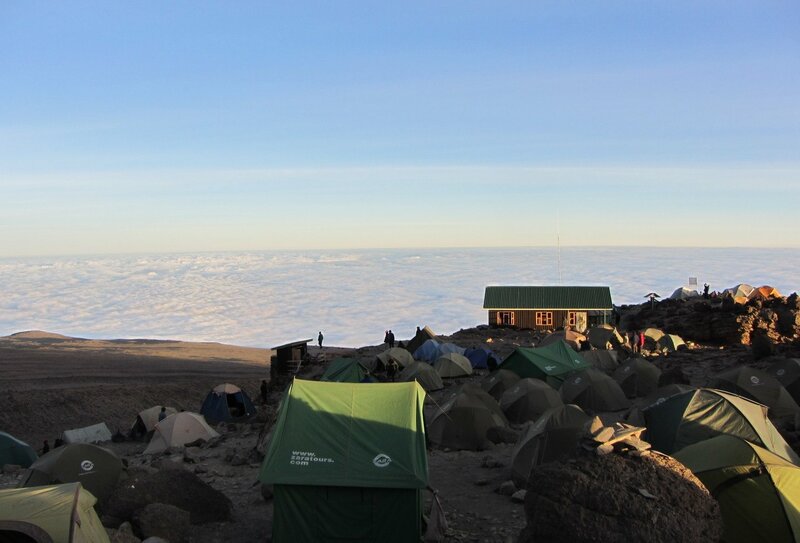 We’ll have a free day to acclimatise today before heading off on an 11pm night hike to Stella Point and onwards to the summit! We’ll take the hike at a slow pace as the terrain is fairly rocky, and should take approximately 6 hours. 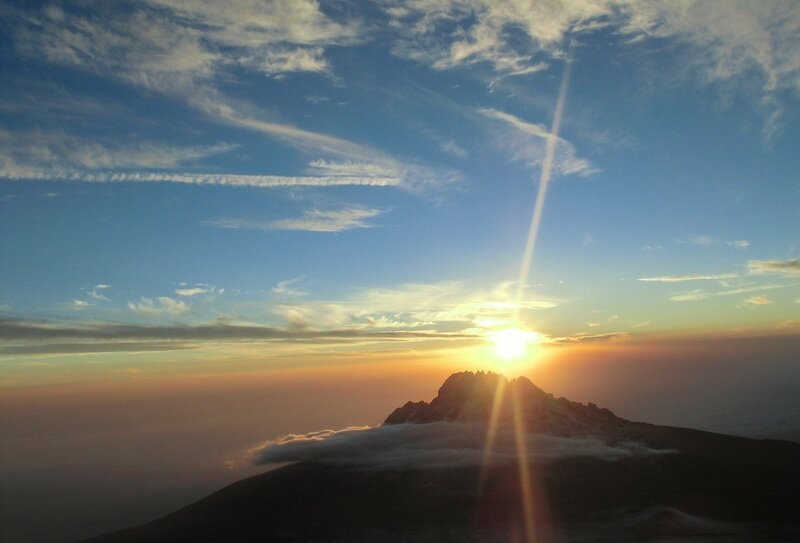 From Stella Point we’ll make the ascent to the summit where you’ll be awed by a sunrise unlike any other! 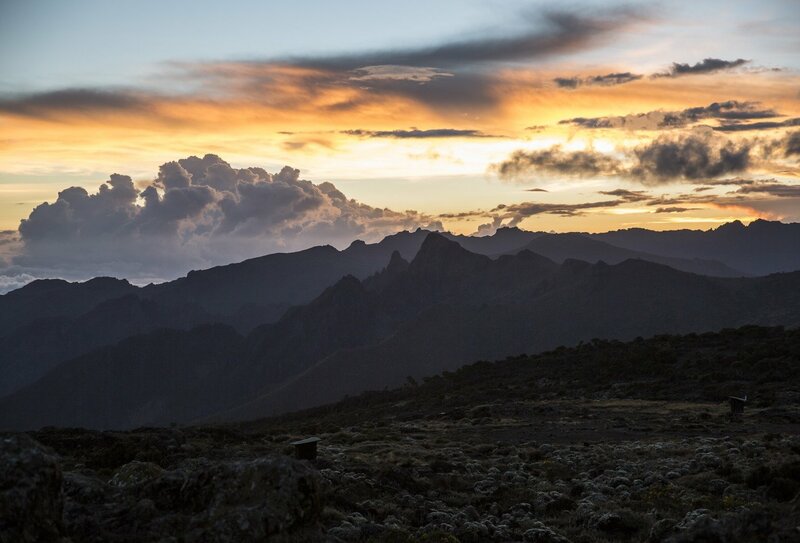 Once we’ve had our fill of the magical views we’ll hike to Mweka Camp to rest and recharge. 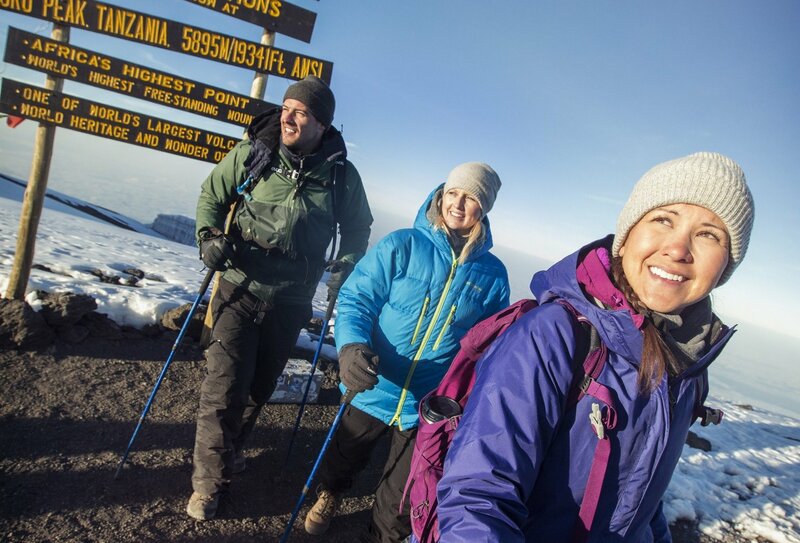 Today we’ll continue our descent, trekking through the scenic forested slopes of Mount Kilimanjaro to the Mweka Gate before boarding a private vehicle to make the journey to Moshi. After a shower and a well-earned drink, we’ll experience Moshi’s rich culture with the women of the Moshi Women’s Cooperative. You’ll learn about this valuable project, and participate in a climbing ceremony where you’ll be presented with a gift and a certificate that symbolises your amazing climbing achievements! Your amazing trip ends today! You’re free to depart whenever you like, and your guide will be on hand to help you with any travel arrangements. Please note itineraries and activities are subject to change. Your accommodation includes two nights in simple yet comfortable hotels on twin or triple shared occupancy basis, and full-service alpine camping for all other nights. You can opt to book your own room or tent for the duration of this trip, and this will incur an additional cost. 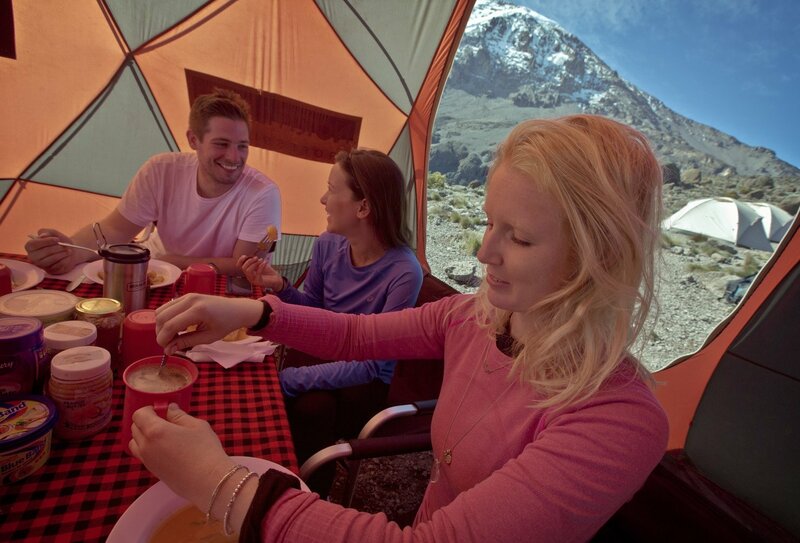 Your tents will be pitched for you, giving you more time to enjoy your surroundings. They are two person tents with built in insect nets, and comfortable mattresses will be provided. During your time camping you will not have electricity or shower facilities, and the toilet facilities will be basic long drop latrines. The crew will prepare basins of warm water for daily washing, and all camping equipment will be provided apart from your sleeping bag and pillow. While you are camping your meals will be provided by the group’s cook. 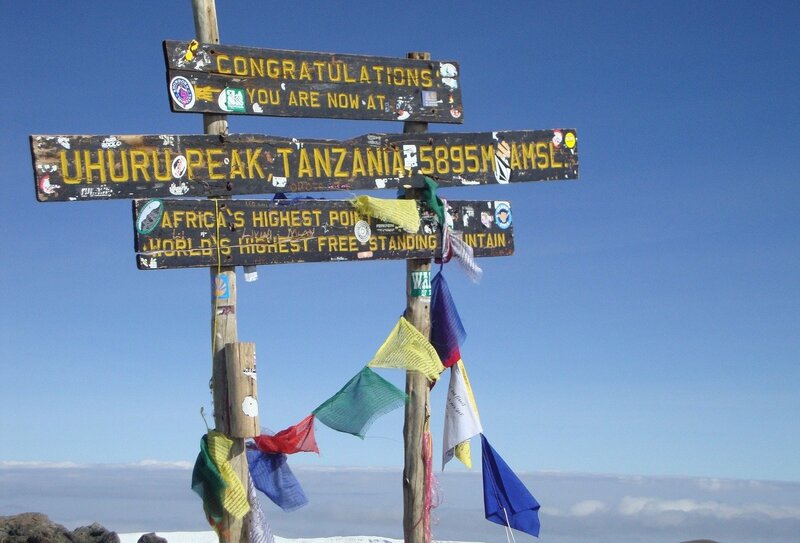 You will need to arrange your flights to arrive into Kilimanjaro International Airport on your programme start date, an important welcome meeting will be held in the early evening of this day, so please ensure that you arrive in time to attend this as you will receive a full briefing on your trek and adventure that lies ahead. It is approximately 40-minute drive from the airport to the starting point hotel. Your trip finishes on your programme end date, no activities are planned for this day and you are free to depart at any time on this date. The minimum age for this trip is 18. Due to the nature of this trip, a high level of fitness is required. 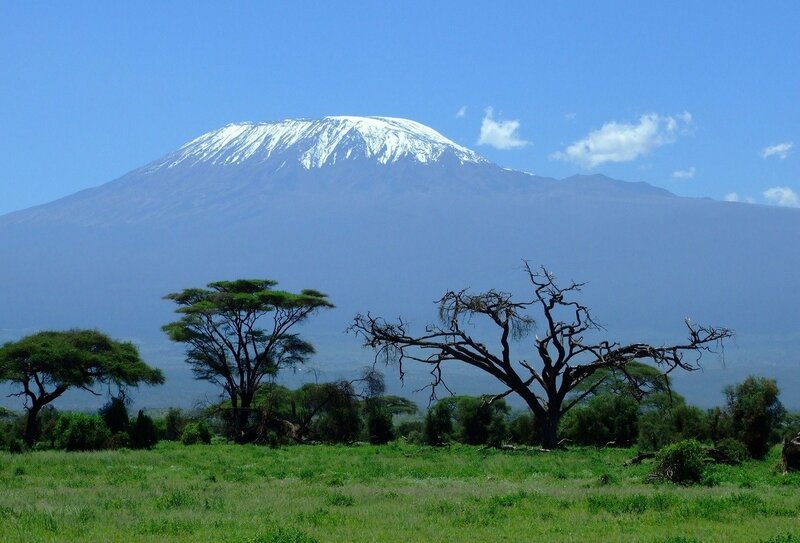 All visitors to Tanzania require a Tourist Visa, which must be used within 3 months from the date of issue. The most common visas allow for single or double entry and can be used for stays of up to 30 days. Single entry visas can be purchased on arrival or via an authorised Tanzania embassy or High Commission where you can also apply for multiple entry visas. Ultimately, it is your sole responsibility to ensure that you have the correct visa required to travel. Please refer to the ‘Important Documents’ section of your online account for further information on visas. Absolutely! Many of our travellers opt to travel solo as our trips are very social and you’re bound to make lots of new friends. You can also travel with a friend or boyfriend or girlfriend. However you choose to participate, you’ll have a lot of fun and make great friends! Can I Book My Own Room? You can book your own room on this trip, but it will incur an additional cost. You’ll be unable to have your own room during your time camping. If you’d like your own room please contact us for prices and details. What Can You Tell Me About My Guide? Your guide will be with you throughout your tour and can help you to work out what you’d like to during your free time and help you to make the most out of the sights you’ll be seeing and places you’ll be visiting. Your guide has a wealth of local knowledge that will help you travel safely and with confidence. Hello! Anyone doing South Africa big 5 from 12th-25th August 2019? Hey! Has anyone done the South Africa Children's Hospital Volunteers program who wouldn't mind me asking them a few questions about it? !